Northern Chamber of Information Technology (NCIT) scheduled ICTA’s “Northern Go Digital 2019” Event in “April 6th 2019 9AM to 4PM ” in Jaffna with the collaboration with CCIY and other Regional IT forums. We will allocate Stall for selected maximum 15-20 IT companies who located in North part of Srilanka with the guidance of ICTA. . Freelancers and others also can use the event to promote their ICT business among invited Business people even they are not going to get stalls. Audience are expected from IT, Non IT SME, and Students from Selected Institutions. #The company must have its presence or is able to service its customers remotely in Northern Province. 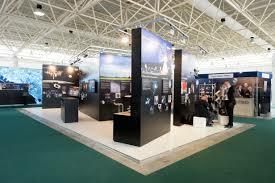 #Exhibition space and promotions activities will be as per ICTA specifications. #Only companies that are engaged in software product and solutions development are eligible to apply. #Only selected companies will be notified via email based on information provided upon registration. Facilities Provided : Exhibition space / pod will be provided by NCIT including company on-site branding. NCIT along with ICTA and its partners in the program aims to bring business owners and decision makers.Company will be listed in NCIT member directory. Target Audience : This exhibition is strictly by invitation and will be B2B. Awareness creation to this effect will be done through partners of this initiative, trade and business associations in the region and via regional chambers ,banks and other institutions. Please contact Thava (support@ncit.lk) /Sharmmhik on 0777 563213/ 0777563144 / 021 222 9600 to confirm your participation for this event / further clarification before 15/3/2019. We invite SME companies,Entrepreneurs,Business People from Northern province who are willing to buy/get products and solutions from Northern IT companies in this event. Our exhibition focus is to expose IT SME companies in Northern Province to potential buyers in the Northern Province for them to experience first hand products and solutions available for them to improve their business activities. While Exhibit the IT SMEs, We planned to have an ICT Awareness session for invited Business People regarding Need of ICT enabled Service for Better Productivity. We will arrange ICT Keynote Speakers for this purpose. We will add more sessions for Non IT SMEs to make awareness on ICT and its benefit for their business. Travel Arrangement for Other District SMEs who interested to collaborate with Northern Companies and interested to get Technology Solutions from regional Companies .If We have Chance We can arrange Accommodation in a Offer Rate.